Applies To: Academic Division, the Medical Center, and the College at Wise. The conduct of certain University research, teaching, service and patient care activities is subject to control under Federal export control or sanction regulations. Controls may be applicable due to the use or generation of controlled technology or the conduct of controlled activities which may occur inside or outside the U.S. This policy serves two purposes: 1) a formal expression of the University’s commitment to compliance with U.S. export control and sanction requirements; and 2) describes the general framework the University has established to support that commitment. An activity involving the export of controlled technology or that due to its nature or the parties involved is otherwise subject to U.S. government export controls or sanctions requirements. For purposes of this policy, this term includes any item, component, material, software, source code, object code, or other commodity specifically identified on the Commerce Control List [Part 774 of the Export Administration Regulations (EAR)] or U.S. Munitions List [Part 121 of the International Traffic in Arms Regulations (ITAR)]. This term also includes information to the extent required in the applicable regulation. An export is any shipment or transmission of controlled technology out of the U.S. The term "deemed export" is commonly used to refer to the release of controlled information (as specified in the regulations) to a foreign national in the U.S. Under the regulations, such a transfer is deemed to be an export to the individual’s home country. Specific government imposed restrictions and limitations on the dissemination of controlled technology and other goods (e.g., tissue samples, agricultural products, plants and animals) or services to foreign persons or destinations. This includes the Export Administration Regulations (EAR); the International Traffic in Arms Regulations (ITAR); Assistance to Foreign Atomic Energy Activities regulations; and any other U.S. government regulations that similarly govern exports and are applicable to University activities. A natural person who is not a U.S. citizen, lawful permanent resident (green card holder) or protected individual (formally granted asylum or refugee status). It also means any foreign corporation, business association, partnership, trust, society or any other entity or group that is not incorporated or organized to do business in the United States, as well as international organizations, foreign governments and any agency or subdivision of foreign governments (e.g. diplomatic missions). An equivalent term used by the Department of Commerce is “foreign national”. Includes all of the embargoes and trade sanction regulations administered by the Office of Foreign Assets Control (OFAC), U.S. Department of the Treasury. Sanctions programs are typically country-based (e.g., those imposed against the governments of Iran, Cuba, and North Korea) or list-based (e.g., Counter Terrorism and Counter Narcotics). The University discourages any restriction on the ability of its students, faculty and staff to communicate unclassified information to any individuals, including foreign persons, engaged in research at the University or in the international community of scholars. However, the University recognizes that in some instances restrictions on access, dissemination/publication, or services may be necessary to comply with Federal regulatory requirements. The University does not prohibit acceptance of dissemination/publication restrictions or the conduct of controlled activities. However, those wishing to engage in such activities must assist the University in preventing regulatory violations. The University has determined that projects proposing to use or produce controlled technology or that involve the provision or receipt of regulated services require special review and authorization to ensure that they will not interfere with the University’s mission. The University shall decide whether to sponsor or support a particular controlled activity on its own merits. Among the factors to be considered in determining whether or not to proceed with a particular activity are its academic merit, the compatibility with the mission of the University, the nature of the restrictions, and the contribution of the activity to the benefit of humanity. The review will also consider whether adequate time exists to assess the activity and, if necessary, obtain licenses or other required authorizations. The University will only go forward with a controlled activity once the necessary export license or other authorization has been obtained from the appropriate regulatory agency. The University shall not engage in business relationships with entities identified on any restriction list nor shall it engage in activities subject to sanctions, without the explicit authorization of the Office of Export Controls. Foreign nationals shall be allowed access to controlled technology and may participate in controlled activities to the extent necessary to perform their assigned duties provided such access and participation is permitted by the regulations or authorized in an export license or other authorization issued by the appropriate regulatory agency. Faculty members wishing to engage in research subject to publication/dissemination restrictions or approval requirements must obtain the approval of their department chair, dean and the Vice President for Research (or their respective designees) and receive clearance from the Office of Export Controls before the Office of Sponsored Programs may accept the restriction and finalize the research funding agreement. Approval is to be gained serially and each position must support the request for it to move forward in the process. No procurement, grant, contract or other agreement to conduct controlled activities, or to produce or obtain controlled technology may be finalized until the TCP has been approved and the required University authorizations have been obtained. International travel with controlled technology is an export and subject to this policy. Controlled technology includes, but is not limited to, University laptops, cell phones, and other devices as well as technical information subject to publication or dissemination restrictions, which may include research results. A thesis or dissertation submitted in fulfillment of a degree program requirement must not contain information that is subject to export control regulations. Should a student choose to participate in an export controlled activity, any resulting information may be used in a thesis or dissertation only after approved for unlimited public release or dissemination by the appropriate regulatory agency. Students wishing to include controlled technology in their thesis or dissertation will be required to work with their graduate advisor to develop a TCP or modify an existing approved TCP to detail how all degree requirements will be met while preventing unauthorized exports of controlled technology. This new or revised TCP must be submitted by the student’s graduate advisor to the Office of Export Controls for review and approval. Following approval of the TCP by the Office of Export Control, the graduate advisor must submit a request that the student be allowed to prepare a thesis or dissertation containing export controlled technology to the department chair and the dean of the student’s degree program and receive their support. The Vice President for Research (or designee) must give final approval of any plan to include controlled technology in a student thesis or dissertation. an export license or other authorization has been obtained by the University and that any attached provisos or conditions can be met. Obtaining services from a party located in a sanctioned country. The countries currently subject to a comprehensive or near comprehensive program of sanctions include the following: Cuba, Iran, North Korea, Sudan and Syria. A near comprehensive program of sanctions also applies to the Crimean region of Ukraine. Signing and submitting export compliance documents to Federal agencies and other parties on behalf of the institution. 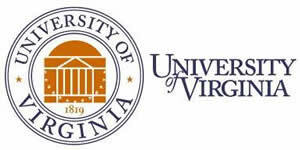 Performing or supporting the conduct of compliance monitoring, risk assessments, and investigations as directed by the Director of Finance Outreach and Compliance, the Office of University Counsel or Internal Audit. Ensuring that staff, students, trainees, and volunteers under their supervision, and visitors are made aware of any applicable requirements (e.g., University, regulatory, or sponsor imposed) and receive adequate training in how to conduct their activities in compliance with those requirements. Reporting any suspected non-compliance with export controls, sanctions, or this policy to the Office of Export Controls. Failure to comply with the requirements of this policy may result in violations of federal export control laws and regulations for which substantial individual and/or institutional penalties may be assessed; penalties may be civil, criminal, or both. In addition, failure to comply with the requirements of this policy may result in disciplinary action up to and including termination or expulsion in accordance with relevant University policies. Export control procedures, forms and templates are posted on the Office of Export Controls website. General information about U.S. export control regulations as well as links to regulations and regulatory agencies are available on the Office of Export Controls website. Information about export controls training is available on the Office of Export Controls - Restricted Parties. This includes information related to the mandatory training required for all personnel listed on a Technology Control Plan. Information on Restricted Party Screening (RPS) can be found on the Office of Export Controls Restricted Parties web site. This includes access to the restriction lists issued by various U.S. government agencies that must be consulted prior to any export as well as information about the University’s contracted web-based screening service/tool. Human Resources, Compliance and Immigration Services, Visa Application Materials (H-1B and O-1 packets contain instructions on how to obtain the required export certification). Revision History: Updated 8/8/17, 7/1/16, 5/5/15, 4/4/2013, 3/13/2012.